"To hear calls for a dialogue and presentation of evidence from Boris Johnson is interesting. It is worth remembering that it was him who, while being Foreign Secretary, advocated a hard line towards Russia after the Salisbury incident, which included a refusal to present any evidence or to cooperate at any official level, and increased sanctions on the basis of political declarations only. The statements of the former Foreign Secretary highlight the double standards of the UK foreign policy in the best way possible," the press officer of the Russian Embassy to the United Kingdom said on Monday, as quoted in the embassy's press release. The press officer slammed the United Kingdom for failing to provide sufficient information on the Skripal case, who stressed further that "more than 7 months have passed since the Salisbury incident, but it is still unclear what really happened there, where and in what conditions the affected Russian citizens currently are, and what evidence forms the basis of public accusations against Russia and certain Russian nationals. The investigation has been classified by the British authorities. The domestic and international public have to consume leaks and speculations which are impossible to verify. To date, the Tory government has not answered a single serious question raised by Russia." The press officer's comments come after Johnson's publication in his weekly column for the UK newspaper The Daily Telegraph in which he claimed that the Saudi authorities had copied "the playbook of [Russian President] Vladimir Putin, and the attempted killing of Sergei and Yulia Skripal," qualifying both attacks as "state-sponsored plots to execute opponents on foreign soil," while he also called on Saudi Arabia and Turkey to provide more evidence related to the matter. 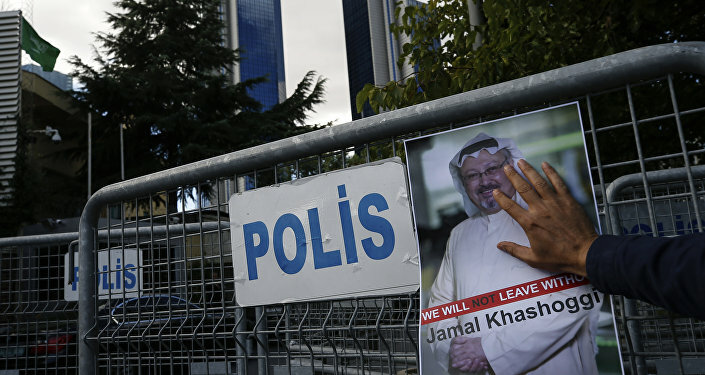 Khashoggi, The Washington Post newspaper columnist was last seen entering the Saudi consulate in Istanbul on October 2. On October 19, Saudi Arabia, which has initially denied any involvement, admitted that the journalist had been killed in a fight inside the consulate. Prior to reports on Khashoggi's case, in March, Russian ex-spy Sergei Skripal and his daughter Yulia were poisoned in the UK city of Salisbury. The United Kingdom and its allies have accused Moscow of having orchestrated the attack with what UK experts claimed was the A234 nerve agent, which the Russian authorities have strongly rejected. However, London insisted that Moscow was to blame for the poisoning and expelled a number of Russian diplomats from the country. Shortly after this, UK allies followed the move and expelled some Russian diplomats as well.